Its colorful history beginning 1706 is largely influenced by its Spanish founders and was particularly named from the Duke of Albuquerque who settled on the banks of the Rio Grande River. Everything traditional stopped being traditional when the railroad finally reached the city in the 1880s. The plus note is that the people are incredibly friendly, probably because of the humble nature of the city. Oh, and by the way don’t forget your ESTA (Electronic System for Travel Authorization) Visa for a smooth US travel experience. First in the list is the Albuquerque Biological Park which certainly will be loved by children travelers. 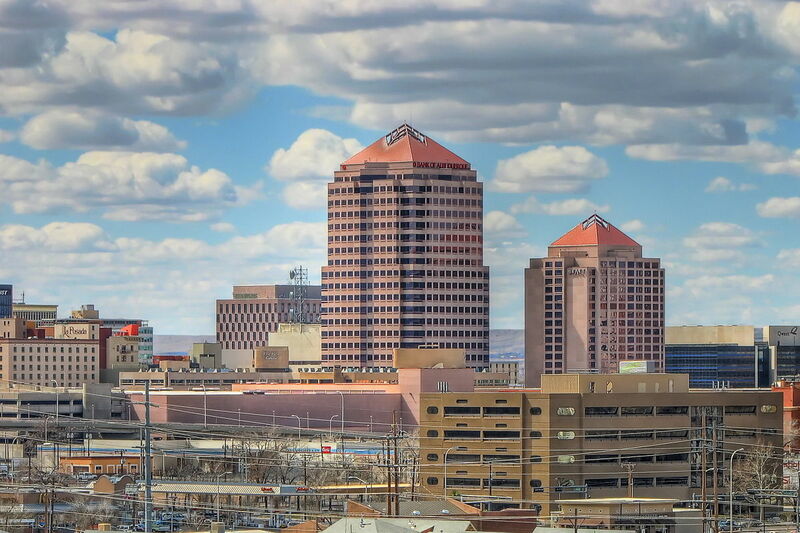 Some of the things that you can see here are the Albuquerque Aquarium, Rio Grande Botanic Garden and the Rio Grande Zoo. Another interesting stop is the Tingley Beach. The breathtaking Biological Park can be explored via trains running in betwixt these attractions making sure that you’ll never miss any but I’d like to talk more about each one. The Rio Grande Zoo isn’t that grande per se, but it sure does beat your average zoo experience because its inhabitants include popular species such as the polar bears, zebras, tigers, elephants, gorillas and many more. Interestingly, concerts are also done on the zoo grounds, which is kinda fun seeing the hilarious reactions of the wild life. The Albuquerque Aquarium / Rio Grande Botanical Garden is where you see fantastic ocean life from jellyfish, seahorses, to eels and reef fishes. You don’t even need to learn how to dive to see fascinating reef fishes; with nothing but glass between you and the fish, it’s kind of an intimate ocean life encounter. On the other hand, the botanical garden displays more of the desert plants. If you want to know the science and history of modern ballooning, visit the Anderson-Abruzzo Albuquerque International Balloon Museum on 9201 Balloon Museum Dr NE. Part of the exhibited materials are the classic balloons including many lighter-than-air crafts and various collections and memorabilia of the famous balloonists too. For the advanced nerds, nothing beats the thrill of seeing the replicas of the “Little Boy” and “Fat Man” nukes at the National Museum of Nuclear Science and History. These nukes were dropped during WW2 and they practically killed thousands if not millions of lives making them surprisingly eerie and scary, something to be dreadful about. The museum also exhibits other things aside from the nuclear aircrafts and rockets such as the peaceful uses of atomic energy. You can culminate your trip by hiking the Rio Grande Valley State Park. This park runs through the banks of the Rio Grande giving you an splendid and peaceful ambiance. There are various wild life that you can encounter in the area such as roadrunners, squirrels and some rabbits too.